I recently created an illustration for a book cover by Elizabeth Castro. The book is titled Read Aloud EPUB for iBooks Miniguide. 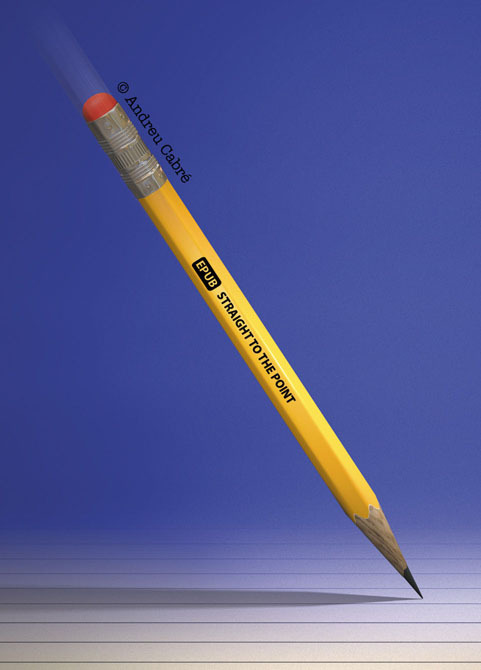 I created the pencil in Blender, where I feel more comfortable modeling. Rendering was done in Cheetah3D, although I think Blender would have been more than capable of producing decent results, especially with the Cycles render engine. I did all the post processing in Photoshop, although, again, Blender would have probably been fine as well. clean and well done Andreu!